San Francisco Police Chief William “Bill” Scott was sworn in by the late Mayor Edwin M. Lee on January 23, 2017. 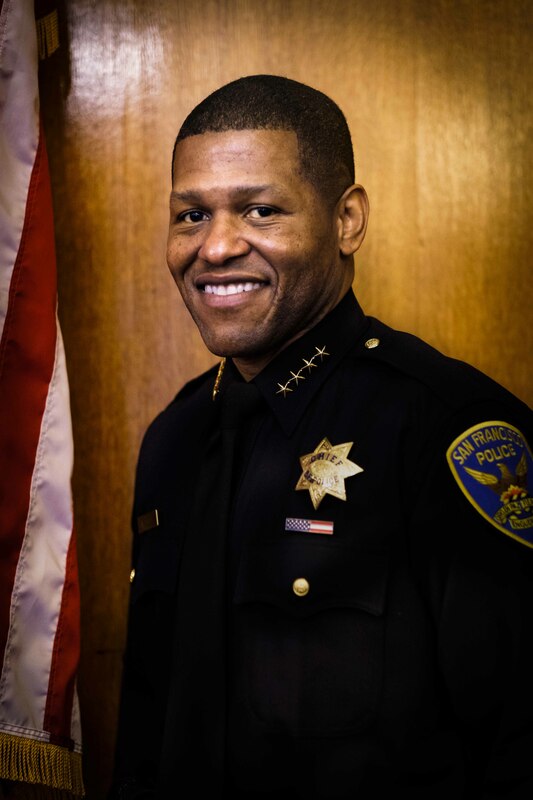 Chief Scott joins SFPD after serving 27 years in the Los Angeles Police Department. He rose through the ranks to become Deputy Chief of LAPD’s South Bureau after being promoted to Commander in 2012.